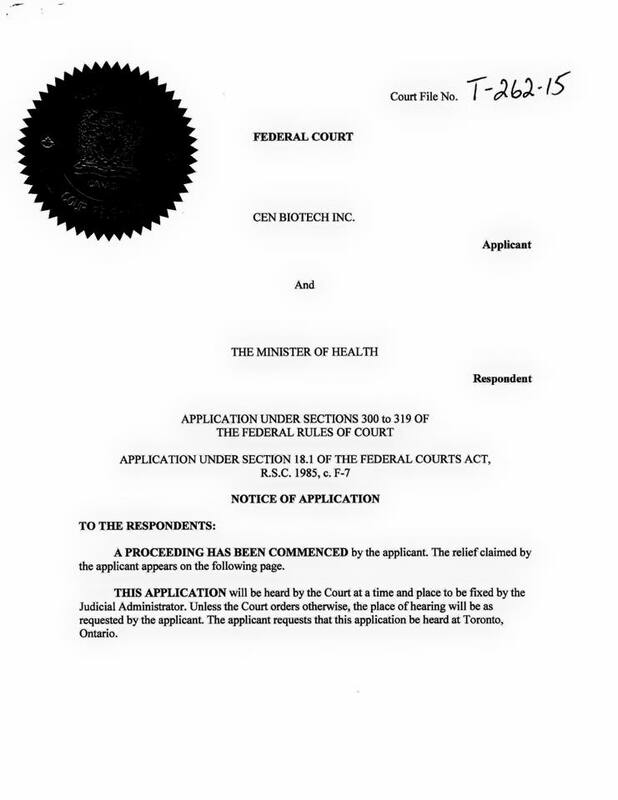 CEN Biotech Inc. has filed application for judicial review through the federal courts in Ontario against the office of the Minister of Health in regards to a delay and/or failure of decision in issuing a Medical Marijuana grow license under the Canadian MMPR program. 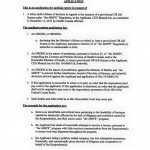 CEN Biotech has provided a timeline of unique key events in this filing which outline grave misrepresentation of the intent of Health Canada towards the programs largest applicant. 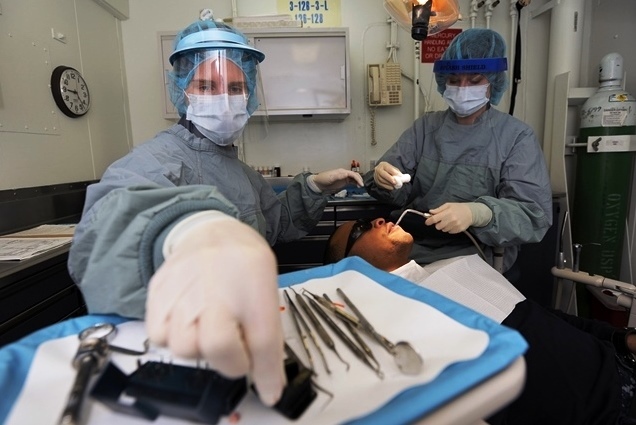 Including, but not limited to, requesting that the company accelerate build out of its production facility for a provisional license in order to meet patient demand, which cost the company a significant amount of money. 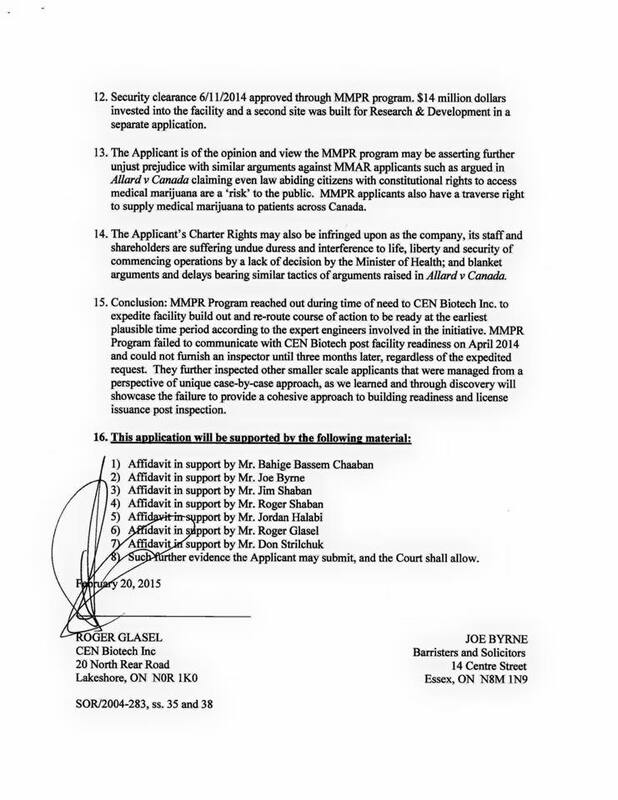 The office of the Minister of Health has recently served CEN Biotech with intent to reject the company’s license application within 20 days if sufficient evidence cannot be presented within that timeframe to justify a decision to the contrary. 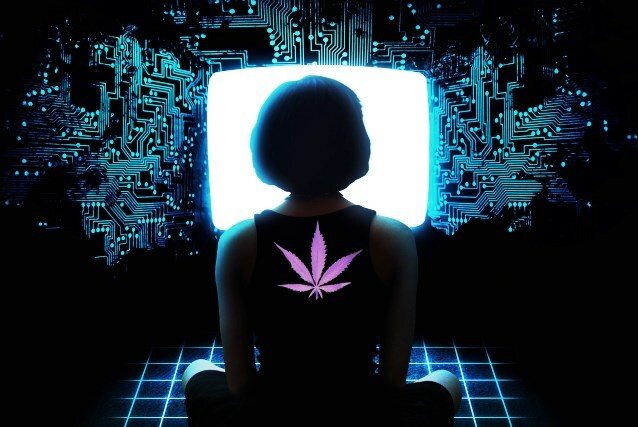 CEN Biotech has responded loudly with exactly that, and outlines that full protocol has been maintained and all requirements for licensing have been met or exceeded by CEN Biotech in accordance with the MMPR regulations and Health Canada’s instructions. 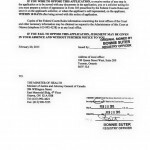 The federally filed application for judicial review orders that Health Canada issue the agreed upon license to CEN Biotech within 10 days for their site on manning road, or must oppose this application in Federal court. Failure to oppose this application will result in a potential judgment being given by the courts in their absence, in favor of CEN Biotech. 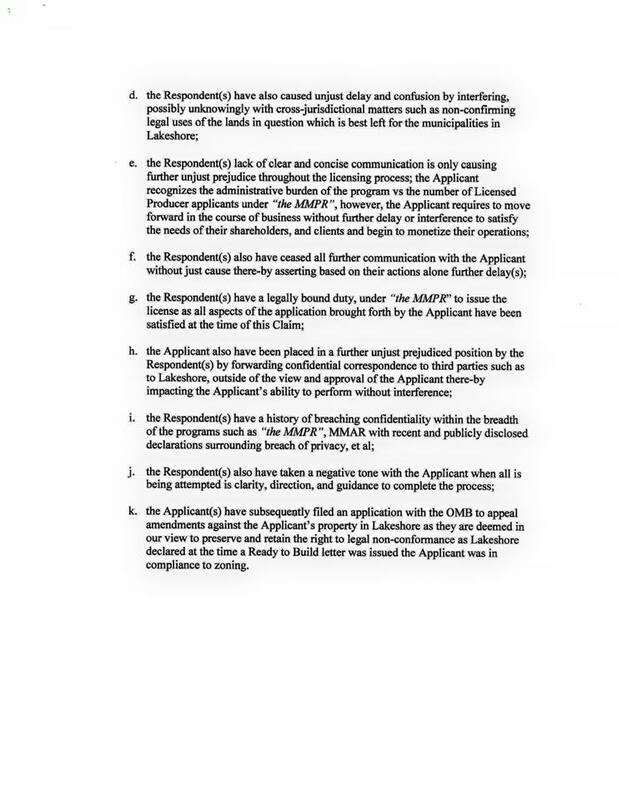 The federal application filed declares that the refusal of license is unlawful, unreasonable, or both. 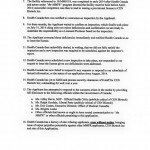 It also applies for an order of mandamus, pursuant to section 25 of the MMPR, which would compel the Licenses and Permits Division of Health Canada, or the Minister of Health to issue the license. 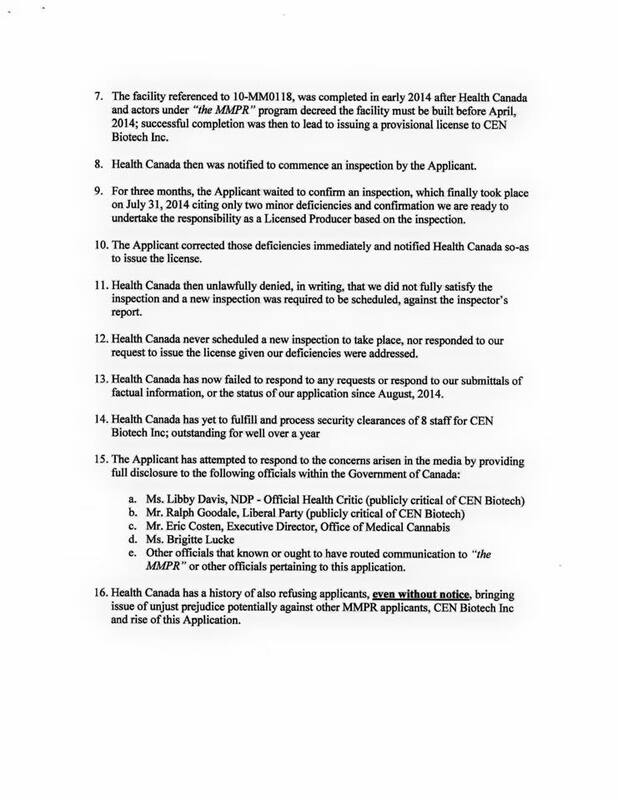 The application also requests an order of prohibition against the Minister of Health and the MMPR to prevent further interference and breach of duty and unlawful decisions against CEN Biotech, as well as an order for Health Canada to pay costs to CEN Biotech Inc.
CEN Biotech maintains that they have made all reasonable attempts to receive a license and have followed all required steps and instructions and that there is an “identifiable” and critical issue in Health Canada’s lack of diligence. 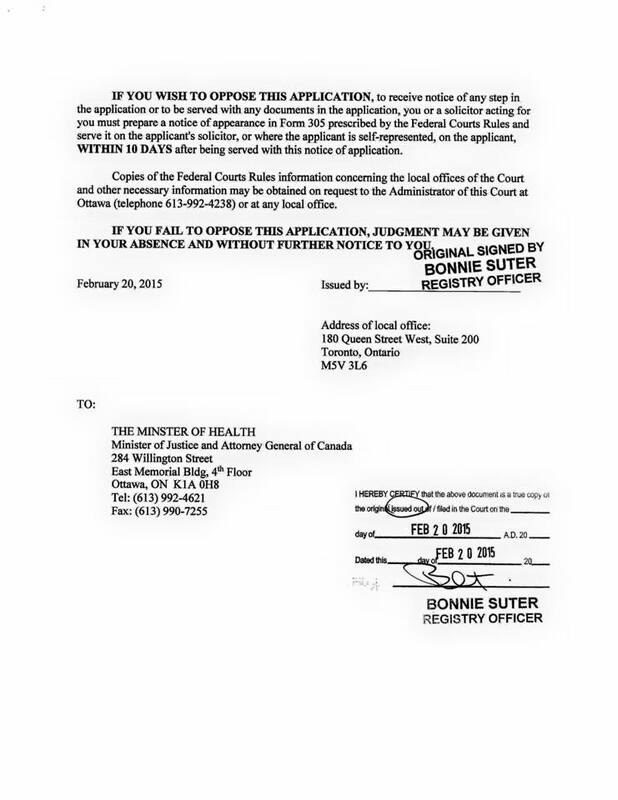 Health Canada has caused unjust delay by interfering with cross jurisdictional matters such as legal non-conforming use of lands, and has displayed a lack of clear and concise communication which has caused unjust prejudice through the process, even having gone so far as to be completely unresponsive toward CEN Biotech while breaching confidentiality by forwarding confidential correspondence to Lakeshore and others. 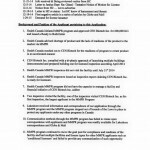 CEN Biotech was asked for an accelerated build out, which was given. They were also inspected and advised they would receive a license within 1 to 2 weeks after inspection. After this, the communication appears to fall apart at Health Canada completely, about the time Jacinthe David becomes involved in communications with CEN Biotech. Jacinthe is the manager of the Licensing and Permits division, at the Office of Controlled Substances. Prior to this, CEN Biotech appears to be communicating with Todd Cain, who is the Executive Director of Market Development for HC. Within this market development process, things appear to be mostly on point, and Health Canada appears to be honoring and adhering to agreements. The process seems to have a measurable momentum. 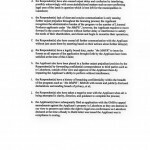 But once the Licensing and Permits division has to issue the license in accordance with active agreements and requirements which the applicant has met, this office begins asking for additional requirements, extending the deadline, and the licensing never happens. 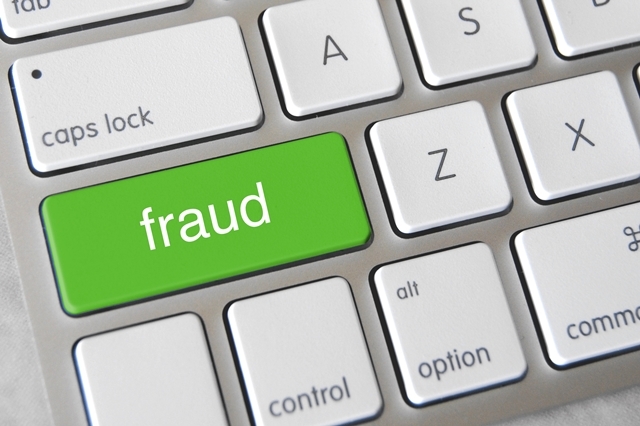 The company is ignored and begins to be seriously harassed and defamed by outside sources. 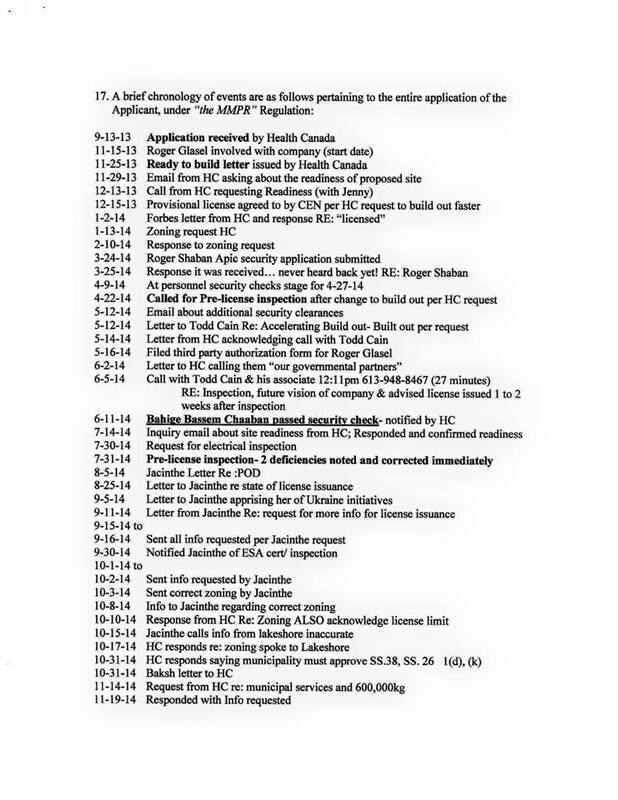 I find it worth noting that the timeline of events matches precisely with a chart from one of our previous articles. When the time to issue this license appears to have arrived for the Office of Controlled Substances (who issues the licenses), Jacinthe David involvement seems to coincide with the timeline of heavy attacks on the company’s image through certain media outlets. You can see this chart posted in a previous article on Canadian Cannabis Corruption in which to date, approximately 80 negative articles have surfaced since the beginning of May, 2014, and from only a few specific media personalities, of which some had direct communications or involvement with anti-MMPR proponent Libby Davies of the Canadian NDP. We do not yet know if this timeline is purely extreme coincidence. 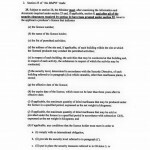 However, we do know at a minimum that this particular MMPR applicant CEN Biotech Inc., and other applicants, have been treated unfairly by this office, and that that the Office of Controlled Substances’ inability to follow through with agreed upon licensing, has caused both significant damage to the reputation and credibility of CEN Biotech Inc. and also allowed opponents to discredit the company through Health Canada’s actions and/or lack of. It will be interesting to see Health Canada officials and files of licensed producers deposed and subpoenaed to compare their overall treatment in comparison to CEN Biotech. 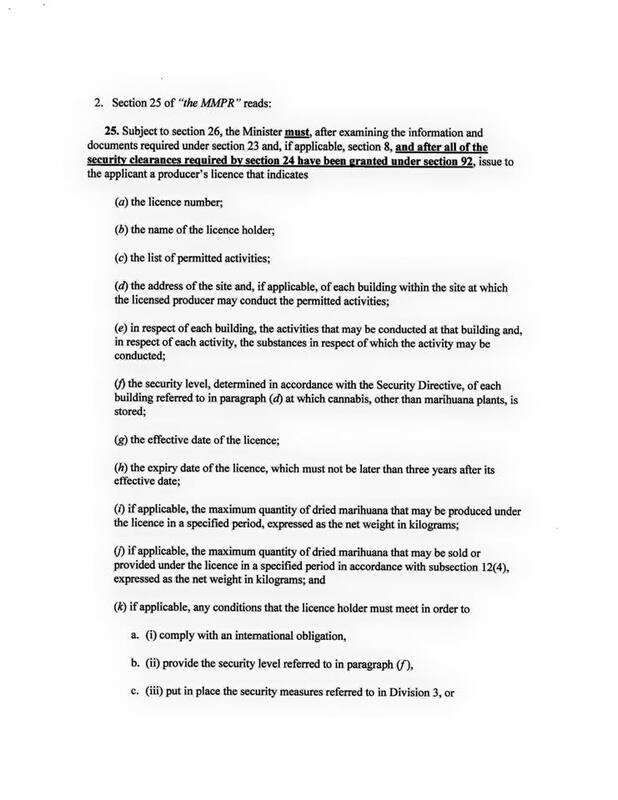 It does appear by these documents and MMPR regulations that the CEN Biotech license should have been issued immediately after clearance was successful pursuant to Section 25 which states …“Must issue”. 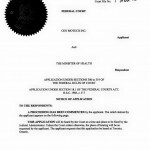 In fact, CEN Biotech states that not only may their Charter Rights be infringed upon by a lack of decision by the minister of Health, but that blanket arguments and delays bearing similar tactics of arguments are also raised in Allard v Canada, and that a history of unjust refusal of applicants, at times even without notice, brings to light an issue of unjust prejudice against other MMPR applicants. CEN Biotech is seeking discovery within the MMPR process to showcase the failure to provide a cohesive approach to building readiness and license issuance post inspection. 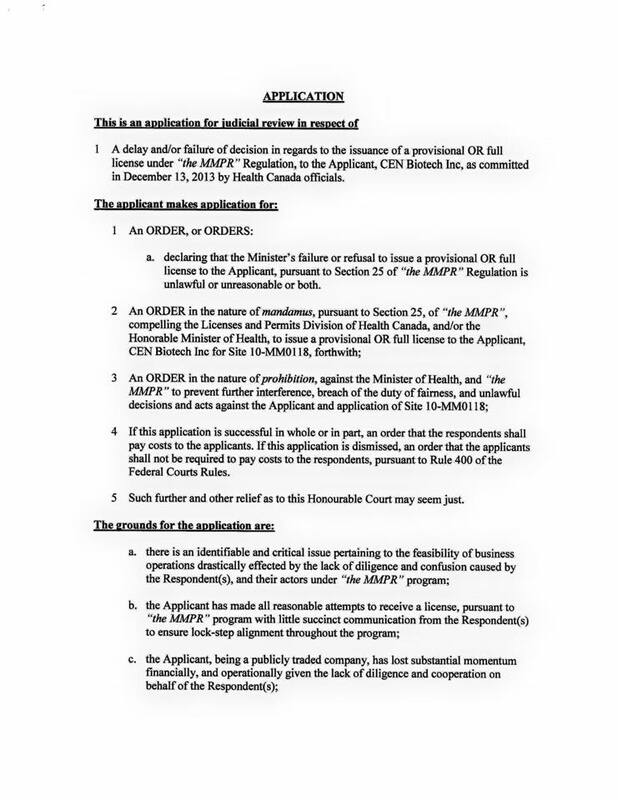 I believe other MMPR applicants who have faced similar challenges should thoroughly appreciate these actions. 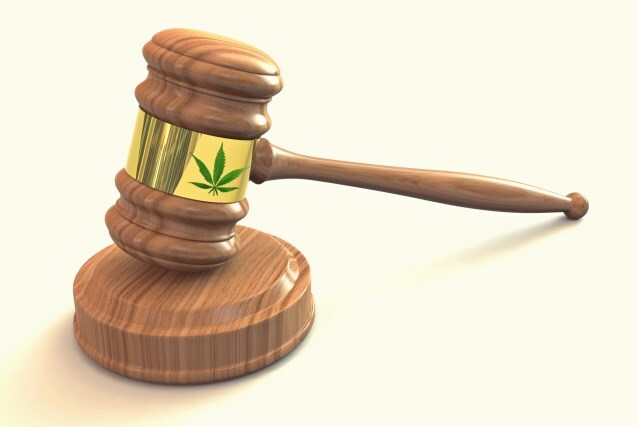 It other jurisdictions, such as Nevada, a Marijuana cultivation license is issued prior to build out, whereas in this case, there seems to exist a prevalent opportunity for both system and applicant abuse, allowing for repetitive loopholes in the effectiveness of the systems implementation. 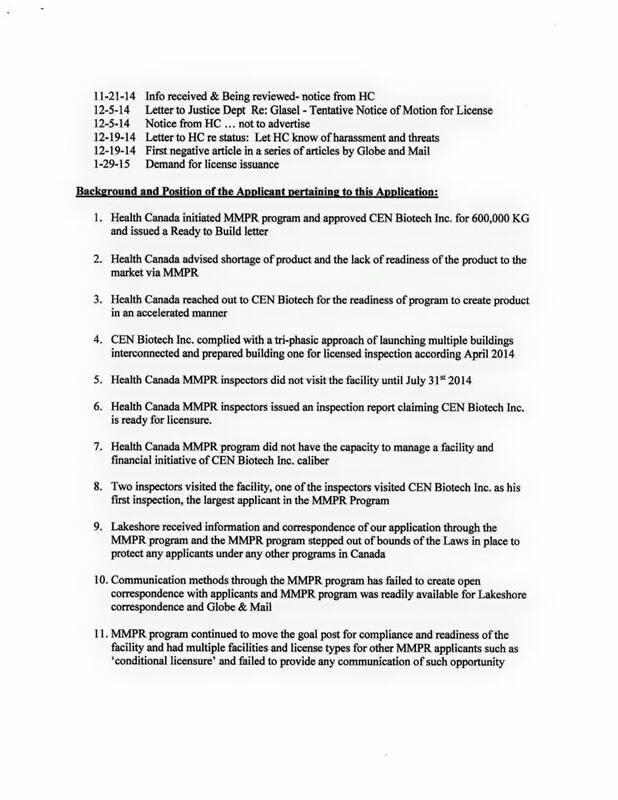 We have also learned that CEN Biotech has filed a complaint with the office of the privacy commissioner due to the office of controlled substances violating the S.7 Charter rights of the company’s CEO Bill Chaaban and CEN Biotech by leaking important documents to the Globe and Mail before being made available to the company or officially released. It appears that as of this writing, the globe and mail has attempted to modify the publish date of their article to show their article release date to be 1 day later on the 14th. 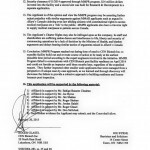 However this article had already been picked up at that point by outside sources throughout the internet, which have time stamped the article to be released on the same day as this intent to reject letter was sent out to CEN Biotech, before even the company’s knowledge, and before any information was made publicly available. This information was also made available to at least 2 other media sources prior to any knowledge of the letters existence. 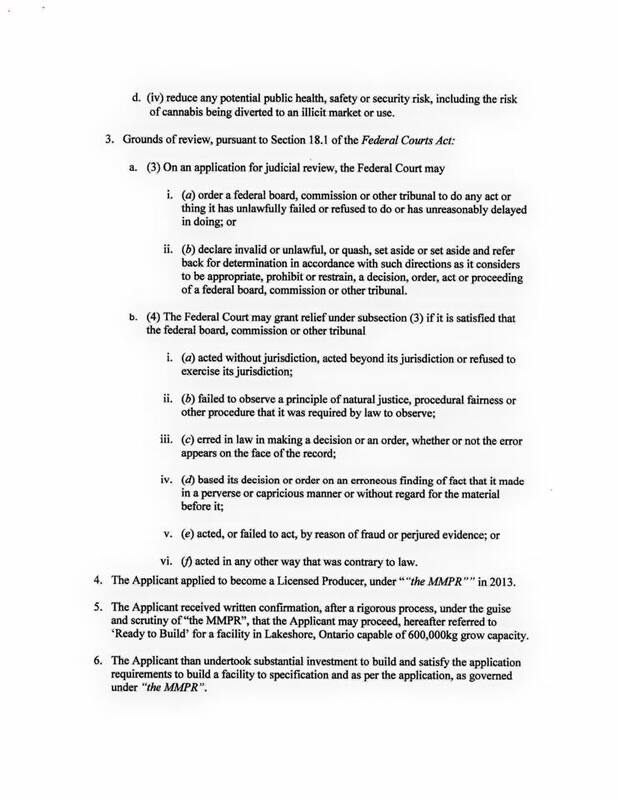 What’s even more concerning is that Health Canada doesn’t disclose ‘why’ CEN Biotech Inc is in the cross hairs of Health Canada at the 11th hour….but the Globe and Mail’s grandstanding article that, now mysteriously has been amended to show published one day later, for taking responsibility based on their flawed investigation without any citation of Securities Law, Case law, or legal non-conformance of agricultural land use to name a few. How did the Globe confirm those details without the consent of the companys President and CEO, or by applying for Access to Information Request via appropriate channels? One last note on Judicial Review. 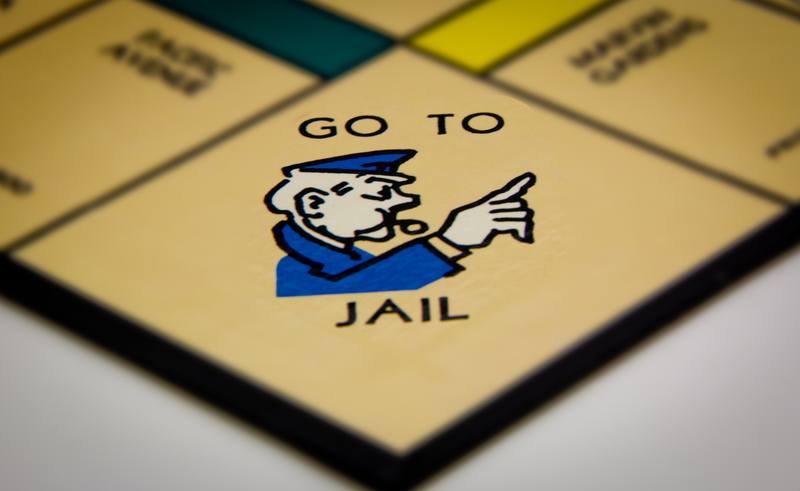 It’s important to note that CEN Biotech Inc. is not at this time “suing” Health Canada. A court’s authority to examine an executive or legislative act and to invalidate that act if it is contrary to constitutional principles. Section 1 of the Canadian Charter of Rights and Freedoms both guarantees the rights set out in the Charter, and also provides that they are subject to “… such reasonable limits prescribed by law as can be demonstrably justified in a free and democratic society.” This provision allows governments to argue in the courts that a law may infringe a Charter right, but that infringement can be balanced against other important social and social values and can be justified as a reasonable limit on the Charter right. 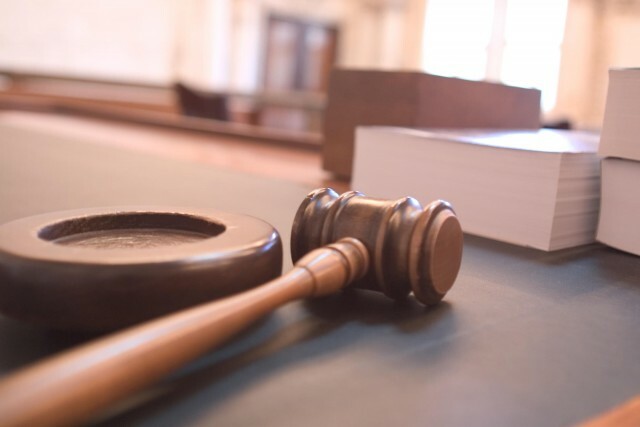 The Supreme Court of Canada and the lower courts have the power to strike down both federal and provincial primary legislation which exceeds the legislative authority of Parliament and the Legislatures. I have included the federal filing documents here for your review. 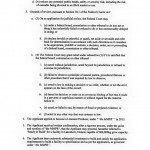 Feel free to review these documents and share your comments below. Don’t forget to “like” our page on facebook for updates. 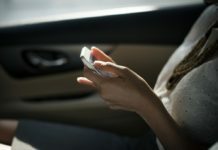 Disclaimer: Author has no affiliation with any companies mentioned in this article and was not compensated in any way shape or form.